still flowering on the breast. About the Author: David Chorlton is a transplanted European, who has lived in Phoenix since 1978. His poems have appeared in many publications online and in print, and often reflect his affection for the natural world, as well as occasional bewilderment at aspects of human behavior. A recent collection of poems is Bird on a Wire from Presa Press, and The Bitter Oleander Press published Shatter the Bell in my Ear, his translations of poems by Austrian poet Christine Lavant. A new book, Reading T. S. Eliot to a Bird, is out from Hoot ‘n Waddle, based in Phoenix. 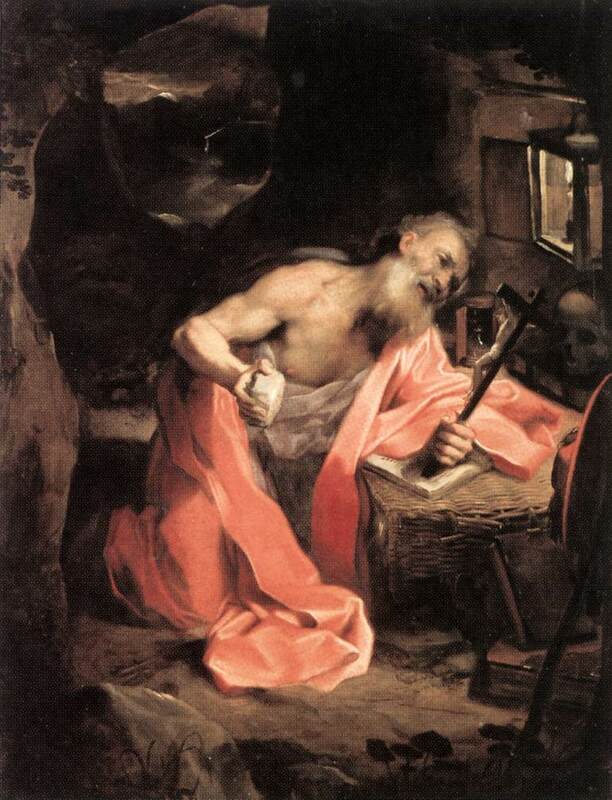 This entry was posted in David Chorlton and tagged Catholicism, Christianity, David Chorlton, Phainopepla, Poetry, priest, Religion, Saint Jerome. Bookmark the permalink.